On 3rd to 5th November 2017, 2 students and 1 lecturer from APU participated in Kuala Lumpur Engineering Science Fair (KLSEF) 2017 held at MINES International Exhibition and Convention Centre (MIECC), Selangor. It is an acknowledgment given by the organizer to our university where we are given the opportunity to join this event. 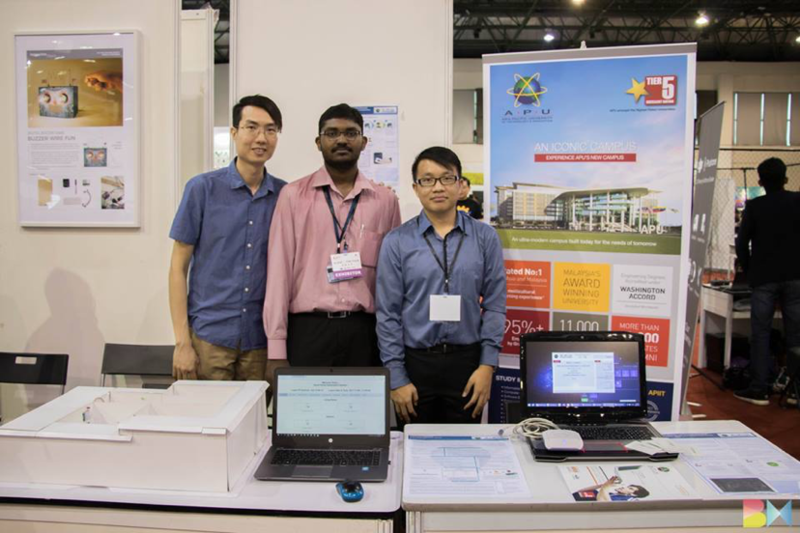 The APU’s booth exhibited 2 student projects which are RFID-based automated student attendance system and IoT smart home appliances system. Visitors, mainly schoolchildren, were explained and shown how IoT can be applied to automate many manual processes. This event was organized by ASEAN Academy of Engineering and Technology (AAET), Universiti Tunku Abdul Rahman (UTAR), Malaysian Industry-Government Group for High Technology (MIGHT) to promote interest among the community, especially school students in Science, Technology, Engineering and Mathematics (STEM). Conclusively, the three-day exhibition turns out to be a successful activity to showcase our student’s project.